We are a reputed organization that is engaged in trading and supplying superior quality Precision Automated GT Series. The range we offer can be operated with high-speed continuous cycle. High grade components and spare parts used in the manufacturing process by highly experienced professionals. A Decoiler operating in reverse may be perfectly adequate for some simple task but when strip tension needs to controlled, precision coil build up is required or efficient reliable recoiling is necessary a specialised Recoiler Machine is essential. With an aim to stand tall on the expectations of our esteemed clients, we are actively committed towards offering a wide assortment of quality assured Scrap Winder Unit. These units are precisely manufactured at our sound and facility-enriched manufacturing unit using high grade raw material and cutting edge technology. 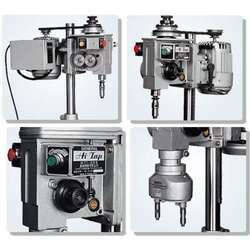 Steelkraft Equipments India Pvt. Ltd.
Vertical winding machines are most suited for high voltage and super high voltage disc winding and helical winding of transformers. - Suitable for all kinds of fabric. - Selvedge guider for uniform plaiting. - Tensionless handling of fabric through positive drive. We are one of the top most companies that deals in the manufacture and trade of the Soft Package Winder. These soft package winders are best known among our dear clients for their outstanding quality and affordable prices. In addition to this, these soft package winders are developed keeping in mind the latest market trends. 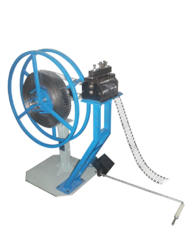 We provide Rewind Machines for Winding of Copper / Aluminum Wire / Cable Core.